The deadline has now passed. Thank you to all who submitted artwork. 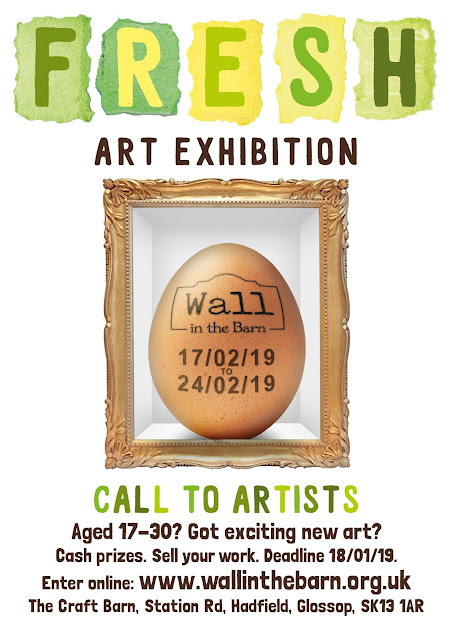 About: Wall in the Barn is a recently opened gallery space in the upper floor of a community arts and crafts venue. The Craft Barn was a Victorian grain store, fully converted in 2014 to provide, promote and support a wide variety of creative activities. 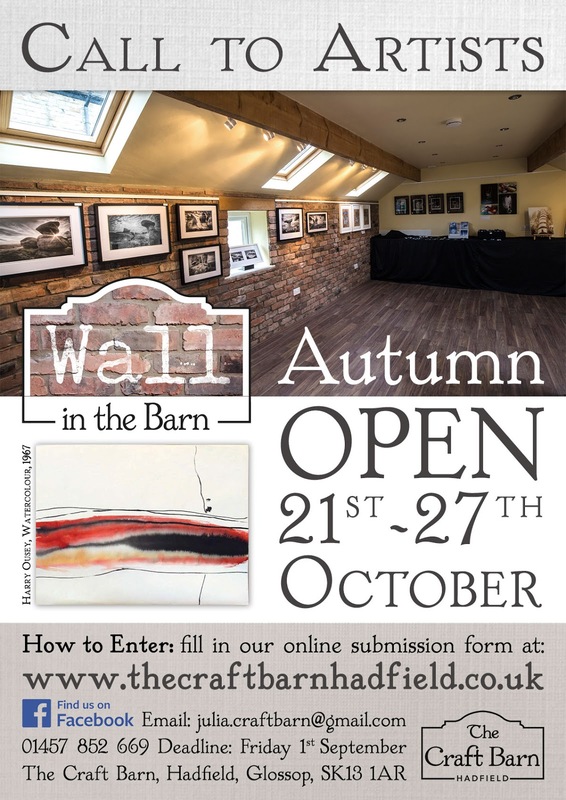 The Wall in the Barn Autumn Open 2017 is open submission to a selected exhibition. The paintings will be selected by Julia Norton, Manager of The Craft Barn and Wall in the Barn. And Mike Robson; art teacher and Head of Art for 30 years, now retired, an art junky working as an independent artist with a particular interest in the exciting and diverse visual art forms of the 20th Century onwards. The Autumn Open will only include original paintings; print; ceramics and jewellery by both professional and amateur artists. Artists must complete and submit electronically the online registration form and email a photograph of their entry piece(s) to julia.craftbarn@gmail.com. Submission deadline is Friday 1st September at 6pm. Submission fee is £5 per entry payable via BACS. A Registration & Artist's Agreement Form must be completed and submitted online by each artist by 6pm Friday 1st September. A maximum of two artworks can be submitted. 2D artworks may be no bigger than 40x50cm framed. Both artworks may or may not be selected. All 2D artworks must be strung ready for hanging with mountings on both left and right sides; please note, picture plates will not be included in the exhibition. All 3D pieces and sculptures must stand safely; if necessary stable mountings must be provided by the artist. Submission fee(s) must be paid via BACS (to The Craft Barn A/C 29199069 01-03-38) by the deadline and no refunds of fees will be given for unselected artworks. Payment must include Artist's surname as payee reference. All 2D work must be labelled on the back with the following information: Name, Address, Title, Medium, Price or NFS. All 3D work must have a label attached with the same information. You will be notified of the Selection Panel’s decision to shortlist your artwork via email or telephone on Monday 4th September. 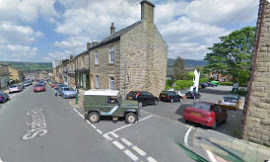 If your artwork has been selected you will be asked to bring it to the gallery on either Friday 22nd or Saturday 23rd September (between 9am and 6.30pm). Final selection will take place on Sunday 24th September. If your work has not been selected we ask that you collect your work on Monday 25th or Tuesday 26th September, between 9am and 6.30pm. If your work has been selected we ask that it is available to be shown until Sunday 29th October. The Craft Barn will be responsible for processing all sales of pictures during the Preview and the duration of the exhibition. The Craft Barn will take a 10% commission on all sales. Money owed to the artist will be sent within a reasonable period of the exhibition ending and will be sent to each artist directly via BACS. An email will be required giving the artist’s bank details in order to pay any money due for a sale of artwork. The Craft Barn will ask the customer to sign a Buyer’s Consent Form, when the sale is processed. All pieces of artwork are exhibited at the Artist’s own risk. The Wall in the Barn is unable to provide any insurance in the event of the artwork being damaged or lost during handling or display. The Artist is responsible for providing their own insurance for their artwork should they wish to do so. During this period, responsibility for care and safeguarding of artwork remains the responsibility of the Artist. Following the exhibition artwork can be collected on Monday 30th and Tuesday 31st October (9am-6.30pm). Uncollected works will only be store for a limited time before disposal. 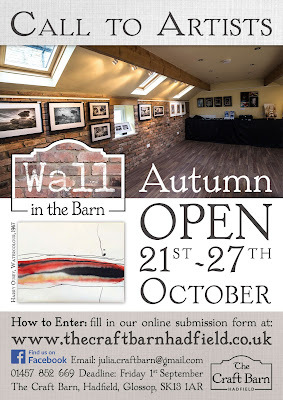 Should you have any questions about the Wall in the Barn Autumn Open please contact Julia Norton; Tel: 01457 852669 or email: julia.craftbarn@gmail.com.